Posts dealing with the ups and downs of freelancing, with reflections on the freelance life and ideas for making it a little easier. You may not recognise yourself as an expert, but your younger self would. A sample will be unrepresentative, and get our relationship off to a bad start. Building a ‘personal brand’ can be stressful. Sometimes, it’s OK just to show up. Why do we see introversion as a weakness, not a strength? Summer can be a difficult time for the freelance parent. What happened when I tried to imagine a writing book without pencils on the cover. By ignoring older copywriters’ life experience, marketers could be neglecting their most lucrative prospects. 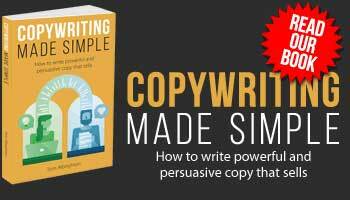 Is copywriting seen as less valuable than design? And what can copywriters do about it? Five stages that freelancers pass through on the road to charging prices they’re happy with.